M S Dhoni Movie Still Going Strong! MS Dhoni vs Mirziya vs MSG The Warrior vs Tutak Tutak Tutiya. Three movies released this friday but only one of them managed to score better than MS Dhoni The Untold Story. On the opening day, it opened up with low occupancy of 10-15% occupancy across the country and remained almost flat till the end due to mixed reviews. With this, Mirzya has done the business of 2.20 crore on domestic box office. The movie is expected to take some growth in the weekend, as audience seems interested. This movie did a grand opening with first day collection of 18 crores, it looks like its the only movie released this friday. This is the only movie in theaters right now that has potential to take over screens of MS Dhoni. Reportedly Tutak Tutak Tutiya has released on 1000 screens across the country. On the opening day, it recorded below average occupancy of 10% across the country and done the business of 0.80 crore. Due to favorable reaction of audience, it can take decent growth on Saturday & Sunday. 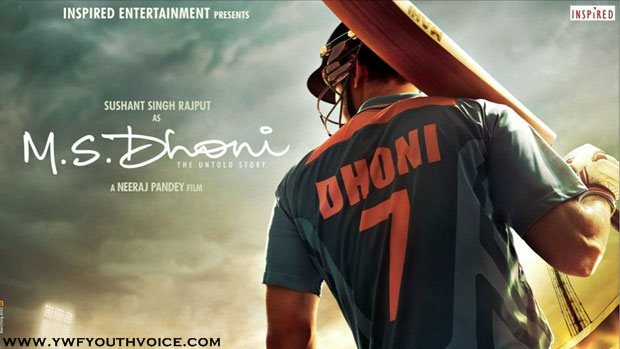 Youth Voice: M S Dhoni Movie Still Going Strong!